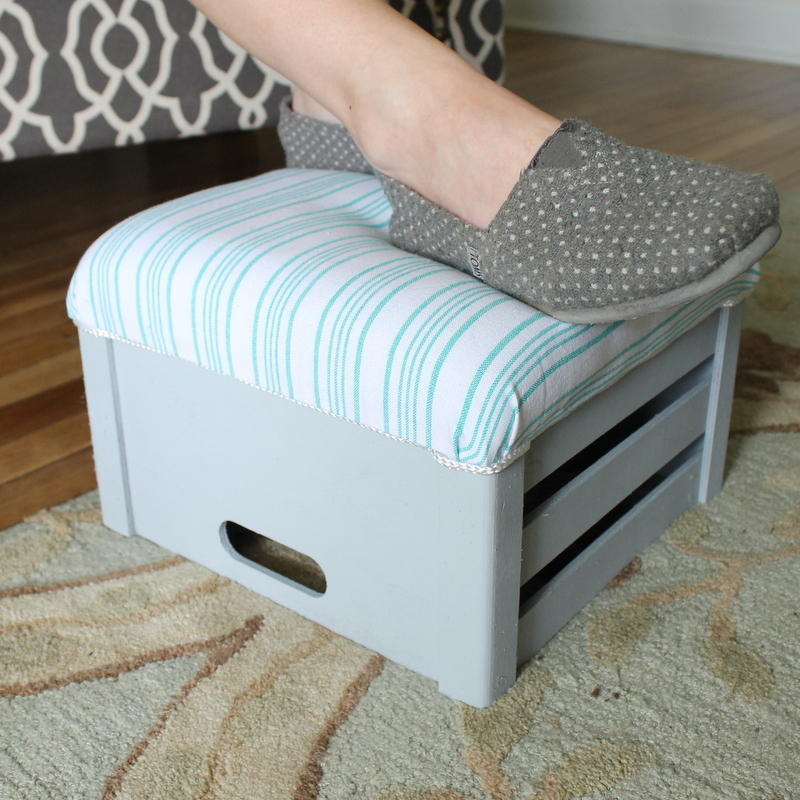 You can turn a crate into a footstool in just minutes….it is so super simple! Grab a crate and get started on your own unique piece of furniture today. 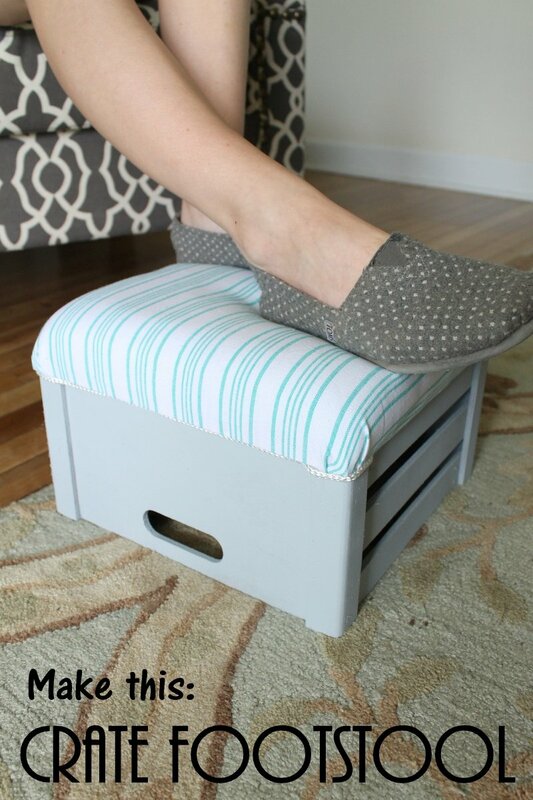 Your crate footstool will look great in any room in your home. This post is sponsored by Old Time Pottery however all projects and opinions are my own. I am over at the Old Time Pottery blog with the full details on how to make your own crate footstool. Click here to see the step by step instructions. You can see just how easy this project is for yourself! Y’all enjoy! Lovely print on your chair, did you recover your chair? Just saw a project last week showing how to make footstool with crate. Was done little differently, I’d love to try that but no place to put one if I did, our living room is not big at all. Love how your footstool looks, very comfy. It’s good to know there is more than one way to make one with one of those crates. Have pinned both of them for future reference. Great job. Thanks JaneEllen! I did not recover the chair. I do love the print however!